Leveraging on our vast industrial experience, we offer quality tested heavy spanner wrench to our clients. 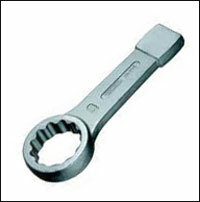 The heavy spanner wrench is used for various industrial as well as commercial applications. Salient features of the product include corrosion resistance, dimensional accuracy and long service life.